UK Gov Responds To Loot Boxes Queries Saying Gambling Commission Will Be "Monitoring Developments"
Credits for the above mockup go to our Uzair Ghani. 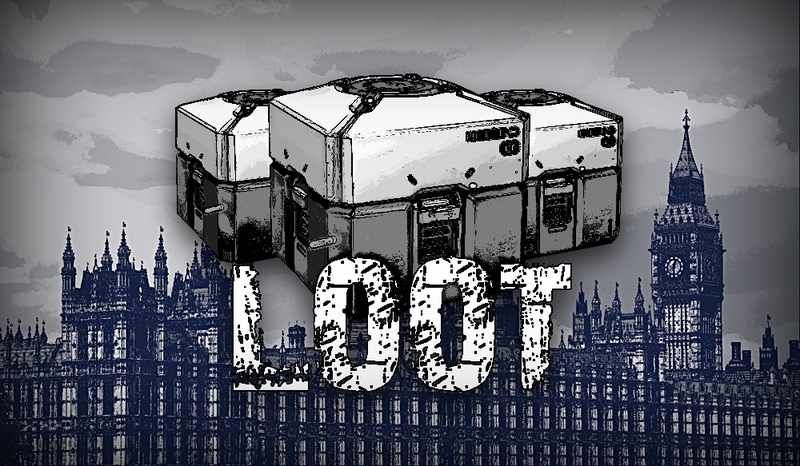 A few days ago we reported that Daniel Zeichner, a UK parliamentarian for the constituency of Cambridge, had submitted two questions regarding the potential gambling nature of loot boxes in the gaming industry and its impact on vulnerable adults and children in particular. Tracey Crouch, Parliamentary Under-Secretary of the Department for Digital, Culture, Media and Sport, replied to those questions yesterday with the exact same answer. The Gambling Commission released a position paper in March 2017 detailing existing protections in place for in-game gambling, virtual currencies and loot boxes. The paper can be found on the Commission’s website at this link. Protecting children and vulnerable people from being harmed or exploited by gambling is one of the core objectives of the regulation of gambling in Great Britain and a priority for the government. The Gambling Commission have a range of regulatory powers to take action where illegal gambling is taking place. Earlier this year the Gambling Commission successfully prosecuted the operators of a website providing illegal gambling facilities for in-game items which was accessible to children – the first regulator in the world to bring such an action. Essentially, and perhaps unsurprisingly, the government is deferring all evaluations on this topic to the Gambling Commission, which according to the reply is “keeping this matter under review” and “will continue to monitor developments in the market”. Unfortunately, this is not the answer concerned customers were looking for. For now and until the Commission deems necessary, business will go ahead as usual, meaning that individuals will have to protect themselves from loot boxes.